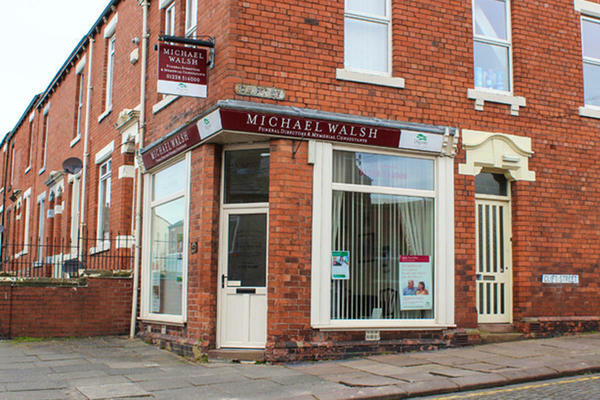 Michael Walsh Funeral Directors in Carlisle have been conducting funerals with kindness and compassion since 1986. We offer unparalleled standards of care to every family that we work with. We take all of your wants and needs into account to ensure that we can help you arrange a unique and personal funeral service that reflects the life of your loved one. Our funeral home has been designed and refurbished with your comfort in mind, to help you feel at ease whenever you visit us. This is because we know that planning a funeral can be daunting, and we believe it is our job to make everything a little easier for you, every step of the way. We have three private chapels of rest which you can use to spend time alone with your loved one prior to the funeral. You can reach us 24 hours a day, so please give us a call as soon as you need us on 01228 514000. We are here to support you, advise you, and guide you at this difficult time. At Michael Walsh Funeral Directors, we understand how special life is with those that you love. For us, every funeral is unique and personal. We have a service to fulfil every wish, with every detail carried out with the same uncompromising quality of care. From a traditional service, to a colourful woodland burial, your options are limitless with our Full Service Funeral. If you have a little more flexibility when it comes to arrangements, then we can provide a Simple Funeral for a lower cost. Nearby parking is restricted and a parking disc is required. We are situated on Newtown Road, close to the Carlisle Infirmary. Our staff are available 24 hours a day on 01228 514000 if you require our services outside of these hours.